Photo : Copyright © Simon Ridgway, 2015 / +44 (0)7973 442527 / www.simonridgway.com / pictures@simonridgway.com / 20.02.15 : Doctor Who Series 9 Block 2. I had some apprehension about this first episode. I was not all aboard the Missy train last year. There were a lot of things I did not like about her, so I was not excited about her coming back. That being said, I really enjoyed her in this episode and in the next. Michelle Gomez plays the “Master” character so well. She is loud and obnoxious and larger than life and flirty and all the things a great Master should be. 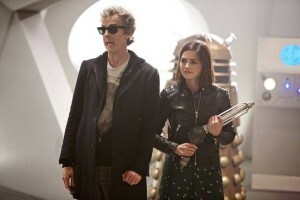 Plus, she and Capaldi have seemed to accomplish the “frenemy” type relationship. They may be enemies, but they really like each other and have a mutual respect for each other. The story was pretty good, and a nice reintroduction to Davros and the Daleks, who seem to never really die off, despite the number of times the Doctor has destroyed them all. It was also cool to see the home planet of the Daleks, and wonder why it was that Davros was so determined to get the Doctor to come visit him before he died. 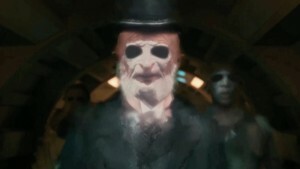 Of course, the opening sequence where we find that he had a hand in creating Davros, unknowingly, was pretty cool. Overall, it was a fun start to the season. Plus, Capaldi was really playing the guitar, including in the opening credits. In this second part to the opener, we learn more about what happens to Dalek’s when they die- the turn to ooze and leak down to the sewers. 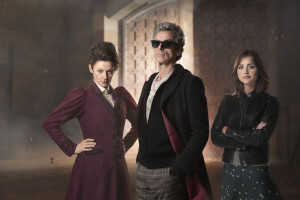 We also get to see the Doctor’s newest sonic device- sunglasses- for the first time and Missy, who seems to be coming around as a weird sort of ally, shows her true colors as she tries to get the Doctor to murder Clara, who becomes a Dalek, for the second time. It was definitely a pretty rapidly paced episode. The first part left us wondering if the Doctor could really go back and leave Davros to die, or kill him, so the Daleks would never happen. Of course he couldn’t as he goes back and he helps Davros, causing the concept of mercy to leak into the Dalek’s programming. We also saw the idea of a hybrid being introduced for the first time in the season, which becomes the running term or idea for the series (much like the promised land last year), so it will be interesting to see how that plays out in the end. We also learned to never trust anyone who encourages you to climb into a Dalek and become one. Clara should have known better. This was a great episode for Halloween time in the States. A good, old-fashioned ghost story. It was definitely a little creepy, but it was a Doctor Who type fun kind of creepy. Of course you knew that some kind of explanation for the ghosts would be coming eventually, but it seemed to not be coming to the Doctor very quickly, suggesting that it might actually be real ghosts this time (it wasn’t). The end scene, after the Doctor has left in the TARDIS and you see him in the water as a ghost- that was pretty cool. I also really enjoyed that there was a real deaf person in this, using real sign language and the Doctor didn’t know sign language. My kids, who are deaf, also thought that was pretty cool. The character was done very well, and she wasn’t just there. She played an important role on the team she was on and in the episode. It was overall, pretty well done. For me, the one thing that stood out in this episode was the whole bootstrap paradox explanation. This is one of the reasons I love time travel stories, so I love it when the Doctor travels in time. The whole idea of if I go back in time and influence someone or help someone invent or create something simply because I know the invented or created that thing, then they only create or invent that thing because I influenced them, then who really invented or created it? That leads to all sorts of questions, and of course in this episode we see that the Doctor does things because he knows what happened in the future- his ideas for action come from the results of his actions- so when and where did he have the original thoughts? It’s all very confusing, but also very cool. This was the episode everyone was waiting for. All the speculation that happened before the season began about who Maisie Williams’ character would be. There were a number of guesses about who she might be from the Doctor’s past. Then Moffat does what he wants, and instead gives us a whole new character. In the previews, we saw that she recognized the Doctor from somewhere. 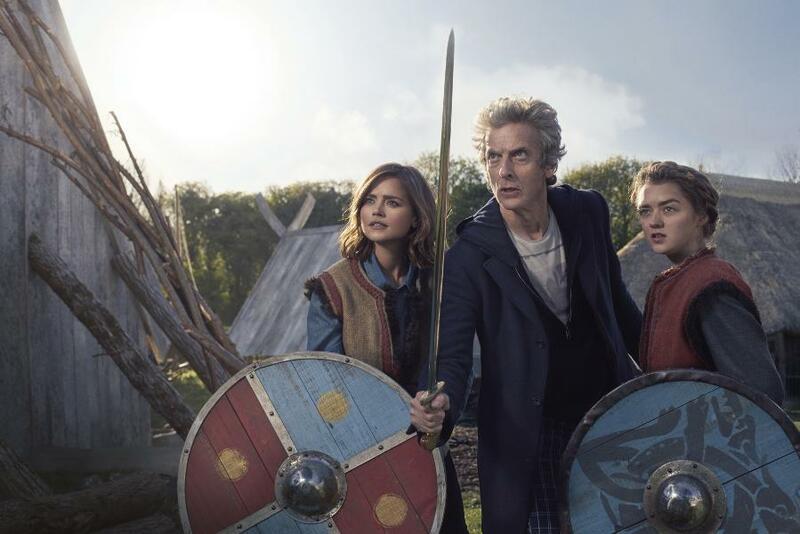 In this episode, though, she was simply Ashildr, a viking maiden. Of course, she also dies, and the Doctor decides to use alien, Mire to be specific, technology to bring her back to life and to make her immortal. A decision, I’m sure, he wouldn’t regret later (like in the next episode). In the decision process to save Ashlar, we see why he chose this face. 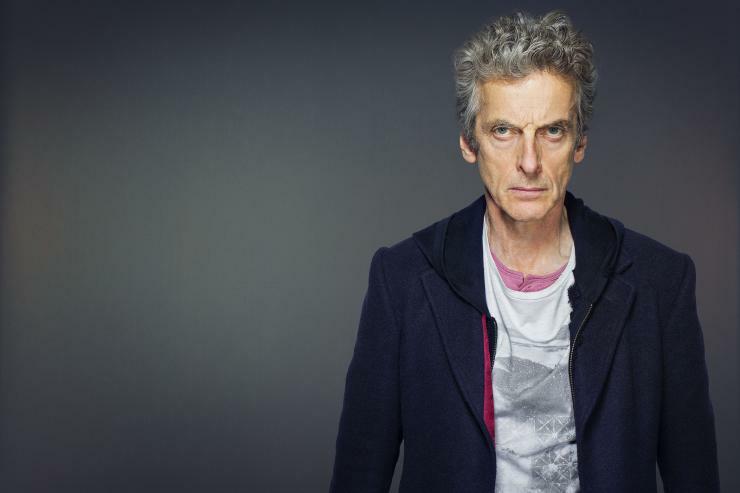 The appearance of Capaldi earlier in the series as a totally different character was explained (because apparently, we couldn’t just accept the fact that he was hired as an actor for that episode, and then later hired as an actor to play the Doctor, we needed an explanation). Apparently, it was reminder to himself to break all the rules and do what he felt was right, if he had the power to do so (seems like a reminder you would get from 10’s time, you know the whole “Time Lord Victorious” thing). This is where Ashildr now recognizes the Doctor and calls him “Old Man,” which is a great nickname and Clara and any future companion should call him this. It probably won’t happen. 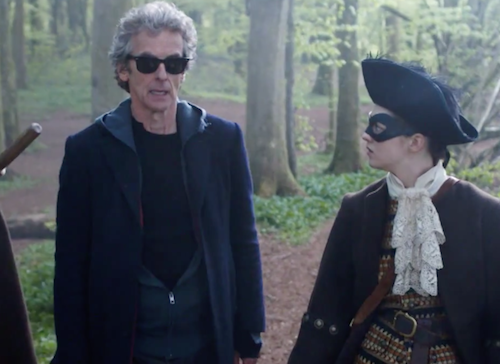 In this episode, we see that Ashildr has been living a long solitary life. She has also been writing everything down in a huge number of journals. A huge number of Journals that the Doctor reads through in a single night, because, you know Time Lord, or something. She has also taken to calling herself “Me,” which I guess makes sense since she has been living alone for so long. The Doctor had given her another chip to use at some point, but she never does, or at least hadn’t yet. And she has started hanging out with some kind of Lion- Man that has promised to take her away from this planet, which he double crosses her on, which brings her back to her senses, and she decides to help the Doctor close the portal they had just opened to bring in all of Lion Guy’s people. This was classic, fun Doctor Who. As a bonus, we get a promise that she will be returning at some point, as she is here to help the companions and people the Doctor leaves behind. 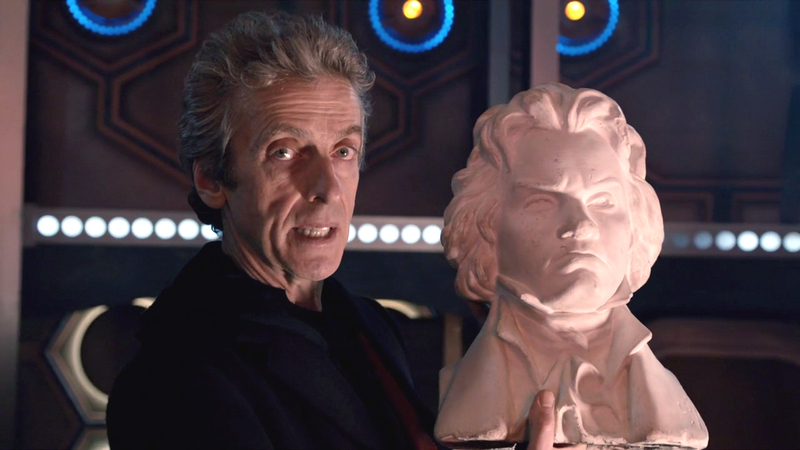 So that brings us up to “Zygon Invasion.” So far, it has been a pretty solid season. I don’t think there has been a single “Robot of Sherwood” in the bunch. 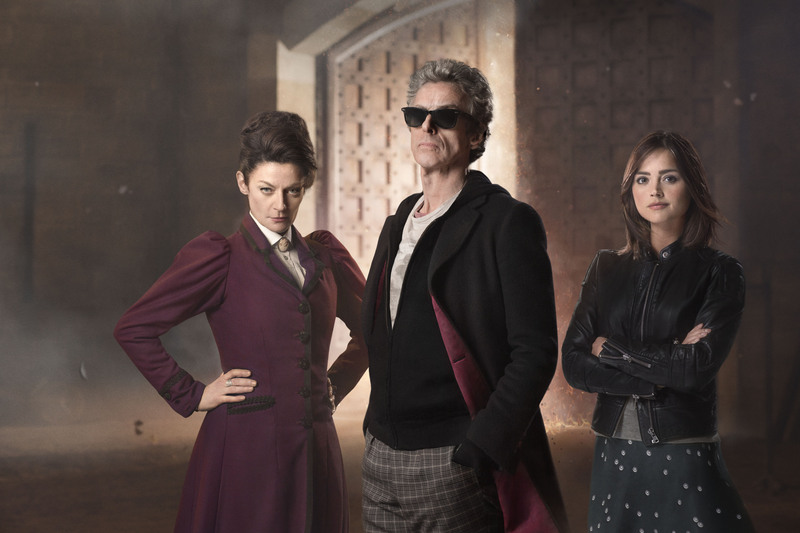 Each episode has been pretty watchable, and I have enjoyed watching Capaldi continue to grow into his role as the Doctor. The longer he plays the Doctor, the cooler his Doctor becomes. 12 is quickly becoming one of my favorite regenerations. He seems confident and in charge, and in this season he has zero confusion about being the Doctor and saving people, which is a nice change from last year. What have you thought about this season so far? 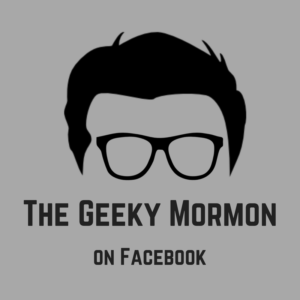 Have you enjoyed it, or has it been unwatchable or maybe just “meh?” Let me know in the comments below, or email me directly at thegeekymormon@yahoo.com. 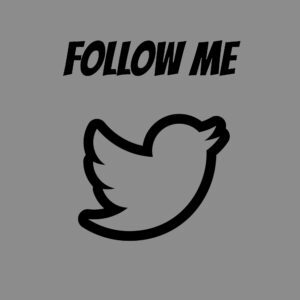 Don’t miss any of our posts. 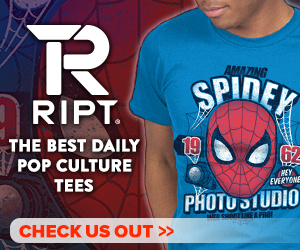 Subscribe to our site and receive email notifications each time a new post is published on our site. You won’t regret it. I mean I hope you won’t. This entry was posted in The Doctor 101- Doctor Who and tagged Doctor Who, Doctor Who season 9 on November 3, 2015 by Jake Dietz.